I finally finished The Host by Stephenie Meyer. I'd been only reading it while at work so it took me a few weeks. A few people that I had talked to really talked it down so I wasn't expecting much. I must say I really liked it. So now I'm on the lookout for some new books to check out and read while I'm at work. Anyone know of a good series? I keep telling myself I need to start reading the Harry Potter Series, but I'd need to borrow or check them out. I need them to be fairly easy reads as it's hard for me to concentrate sometimes at 2 in the morning. Hmm... good book series. Well, there is always "Little House on The Prairie," "Anne of Greene Gables," and then talk to Moura... there are scads and scads of Nancy Drew Mysteries with Nancy, George, Bess, Ned - the WHOLE gang! 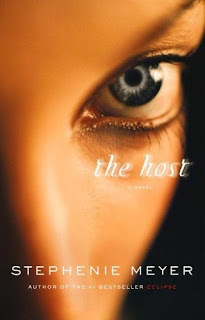 I've been meaning to read The Host so I'm glad you liked it. I'll have to check that out. Some of my favorite series are: The Work and the Glory, Children of the Promise, and then the sequil is Heart of the Childen. So good! Definitely worth reading. I'm reading the Twilight Series rigth now for the 2nd time to get ready for the new movie. I'm way excited too! I listened to The Work & the Glory on tape while I was doing chemo + (it took a while)I loved it. Then I listened to it again because I liked it so much. On the second time through I realized I must have slept through a lot of it the first time. Harry Potter is really easy to read and they're totally addicting! Plus the library usually has quite a few available so you won't have to buy it. I just started reading "Until the Boys Come Home" it's the first book of a series and is an LDS novel about world war II. My family has read it and loved it so I'm excited to get into it. I agree with Lana on the Library thing! I don't know why I ever bought books before! Love Harry Potter - no books have come close to comparing to it for me. I will have to check out the host. I had read The Host and LOVED it, so I thought Ethan would like it too, but he just couldn't get into it. I was sad. Stephenie Meyer recommended a book called "Hunger Games". Ethan and I both REALLY liked this book and the 2nd one comes out sometime in September. I second Hunger Games. It is really good. Also "These is My Words" is good. I can't think of the author right now though. I love, love the Cedar Cove series from Debbie Macomber.. Most of her books are good, easy reads, but super good! It's true, Harry Potter is easy to read and really entertaining. I've also heard good things about Shannon Hale, and I've liked the stuff of hers that I have read. Jake is always doing reviews of books on his blog, you should check it out! "These is my words" is the first of a three book serious I have been reading that is really good. Check it out. It was easier to read, for me, then Ann of Green Gables, sad as it is to say. I think it just hit closer to home, or something. Less time describing the landscape, I think. Plus, a great love story! "A walk to remember" is a great Nicholas Sparks, "The testament" John Grishum, some language, but great! Loved "The Princes Academy" by Shanon Hales...Good luck. I've really liked almost anything by Shannon Hale - The Goose Girl series is really good. I am also really liking the Percy Jackson and the Olympians series. They are really similar to Harry Potter, but a lot shorter.